I might not be the biggest Lewis Hamilton fan, but if you don't love this picture of his dog, then you don't know how to love. UGH. 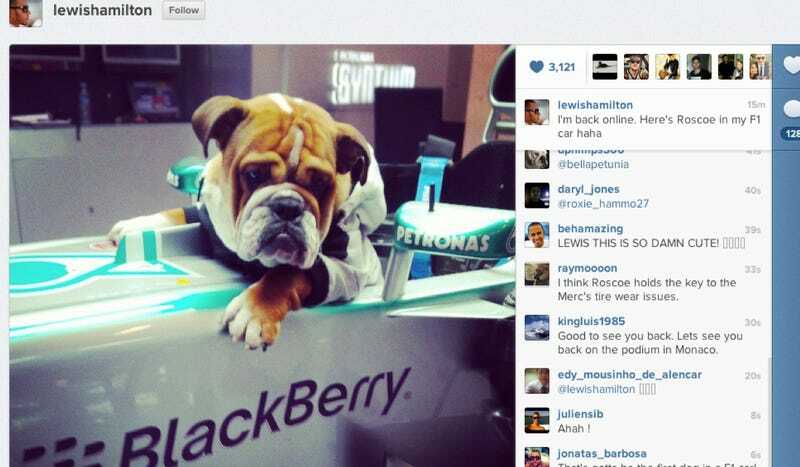 Lewis Hamilton, the 2008 Formula One World Champion, has a painfully cute dog named Roscoe.